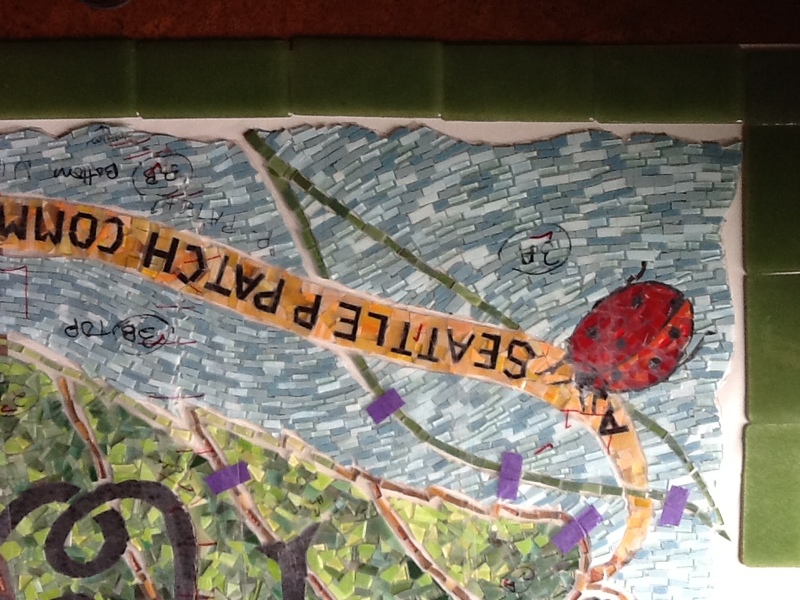 Besides Cheryl and me, we’ll have 3 people volunteering from Seattle Mosaic Arts (SMA) to help install – Hanako and Emily (with SMA owner Claire). People are welcome to come and view, as long as they know that we will be working a little bit madly and probably not available to field questions, so please give us a lot of space. 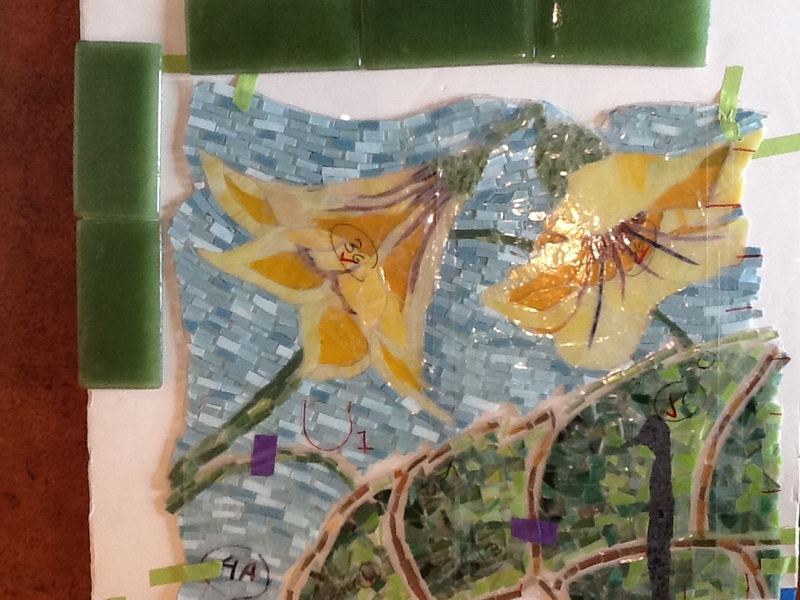 “Final material costs from Seattle Mosaic Arts above grant of $1000 (SMA donating time and expertise): $300.00. Vicki originally wasn’t sure how much installation support we’d have from SMA, but several generous SMA folks are volunteering their expertise so that’s covered. Thanks again to everyone who pitched in with glass cutting and placement at the mosaic work parties Vicki & Cheryl organized at SMA! “Support Vicki and Cheryl really need during this last phase is for Hazel Heighsters to step up with photo documentation of the process, providing food during installation work parties, and donations to cover the rest of the materials cost. 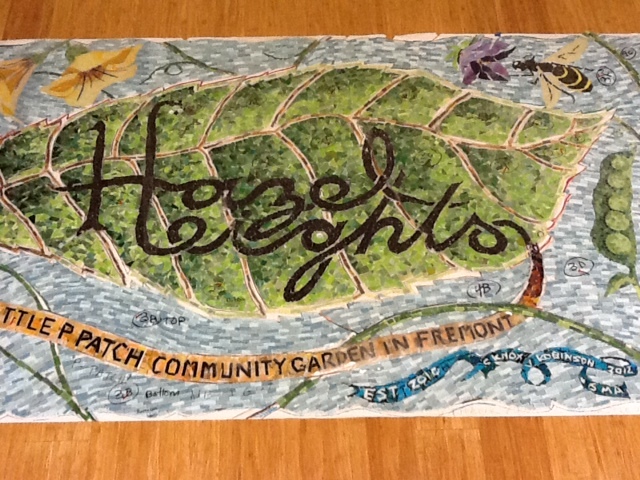 Please send your donation c/o Marya Felenchak, HH treasurer, 4231 Baker Ave NW, Seattle WA 98107; make checks out to “P-Patch Trust for Hazel Heights”–thank you!